Flying Leap Wine Tasting. Hotel McCoy is hosting Flying Leap Vineyards & Distillery for a tasting and winemaking seminar. Here, you’ll get to taste the wine from a small farm, growing 18 different wine grape varietals just south of Tucson. 7 to 10 p.m. Wednesday, Feb. 6. 720 W. Silverlake Road. Details here. Whiskey Wednesday. Reforma Modern Mexican and Union Public House are opening up their expansive whiskey collection, at a discounted price! They are offering Mexican food and half off all the whiskey in their collection. Rumor around town is it’s the largest whiskey collection in all of Tucson! 11 a.m. to closing on Wednesday, Feb. 6. 4340 N. Campbell Ave., suite 103. Details here. Turquoise Trail Walking Tour. You might have noticed a turquoise line that goes through downtown Tucson, but never been clear on what it is: The 2.5-mile long loop trail highlights sites of historic interest through downtown, starting at the Presidio Museum and taking you past places like the Jewish History Museum, the Wishing Shrine, Armory Park and Hotel Congress. A walk down it is a great way to get to know the city a little better, even if you’ve lived here for a while. 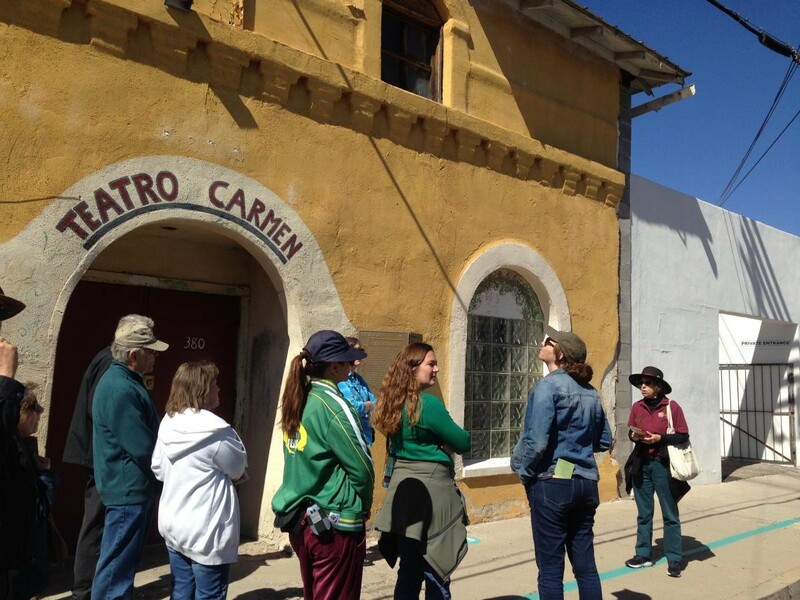 But a guided walk down the Turquoise Trail with a Tucson Presidio Museum historian/docent is a truly excellent way to get to know the city, and to hear some stories about what makes it so special. 10 a.m. to 12:30 p.m. Wednesday, Feb. 6. Starts at the Presidio San Agustin del Tucson Museum, 196 N. Court Ave. $20, or $15 for museum members. Details here. 60th Tubac Festival of the Arts. Holy moly! The longest-running outdoor art festival in Southern Arizona has been going for 60 years! They’re celebrating with more than 200 participating artists and more than 100 art galleries at this year’s event on the sweet streets of Tubac, the perfect setting to wander around in for hours to enjoy the unique merchants and to enjoy a beer or two at their signature beer garden and a snack from a local vendor. Entertainment includes Nashville singer-songwriter Cary Stone and Nashville transplant Tige Reeve performing a blend of classic country, rock and original material. 10 a.m. to 5 p.m. Wednesday, Feb. 6 through Sunday, Feb. 10. Tubac, AZ. $8 fee per vehicle comes with a $5 gift certificate redeemable at more than 50 of Tubac’s permanent shops and galleries. Details here. Won’t You Be My Neighbor? I consider myself quite a wrathful person. One time I came home in a bad mood, ripped all of the spoons out of my kitchen drawer, and threw them back into that same kitchen drawer, clang after spoony clang, until my rage was abated. And this documentary on Mister Rogers’ Neighborhood still managed to reduce me to a teary, blubbering fool multiple times in a single sitting. What more is there to say about Fred Rogers? It’s a wonderful day in the neighborhood. 7:30 to 9:30 p.m. Wednesday, Feb. 6. The Loft Cinema. 3233 E. Speedway Blvd. Regular admission prices. Details here.